What is a first look? It's a beautiful and intimate moment for the bride and groom to see one another for the first time on their wedding day before the ceremony. 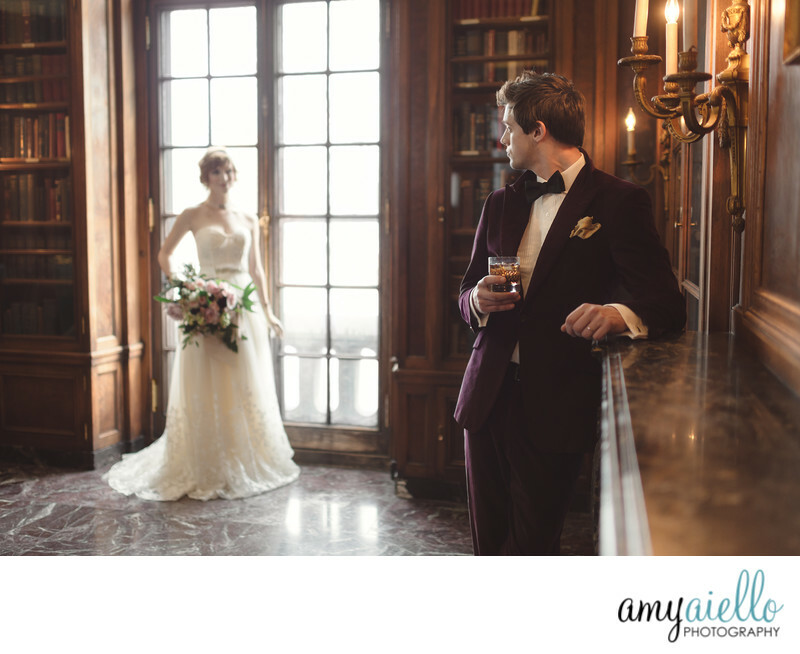 I've talked with countless brides and grooms about the concept of having a first look. The most common reason I have been given for not wanting to have a first look is tradition. Come to think of it, that's the only reason. What I can tell you is that of all of the couples who have had a first look, not one of them regretted their decision. I HAVE had plenty of couples regret their decision to choose tradition. • You'll have TWO special moments of seeing one another for the first time. • You get to focus on being a bride or groom! Some traditions are so important to carry on. With the way that weddings have changed, however, this is one tradition I truly believe we need to say goodbye to.